Mobile Phone bills are now one of those extra bills that can lead to bill shock at the end of each month. No matter how hard we try to cut back on our smart phone usage we never seem to be able to reduce our bill by much. So why keep worrying when we can simply cut down our mobile phone bills by being smart. Nowadays technology has progressed enough to let us connect with people at no cost. There are now plenty of Andoid, iPhone and Microsoft phone apps in the market, paid and free, that are designed specifically to help cut down your phone bill. You just need to choose the best among these based on your requirements. Why pay to send SMS when you can chat with people for free? With the likes of instant messaging services WhatsApp and Viber you can send messages, videos and photos online, provided you have WiFi of course, while Viber also lets you make free calls to other Viber users. WhatsApp WhatsApp Messenger is a smartphone messenger available for Windows Phone and other smartphones. WhatsApp uses your 3G/EDGE or Wi-Fi (when available) to message with friends and family. Switch from SMS to WhatsApp to send and receive messages, pictures, voice messages, and video messages. First year FREE! Viber is available on iPhone, Android, Windows Phone, Blackberry, Windows 8 and Nokia (free). With Viber, everyone in the world can connect. Freely. More than 460 million Viber users text, call, and send photo and video messages worldwide over Wifi or 3G – for free. Viber Out can be used to make calls to non-Viber mobile and landline numbers at low rates. Viber is available for many mobile and desktop platforms. Skype Allow you to make free Skype to Skype video and voice calls as well as send instant messages to friends and family around the world. Available on iPhone, Android, Windows Phone and Blackberry (free). We Chat : is suitable for mobile phones that run on various platforms. The app features video calling, group and live chat and push-to-talk services. Although it is peculiar the way you connect with people. You shake your phone and connect to people who shake their phones at the same time. 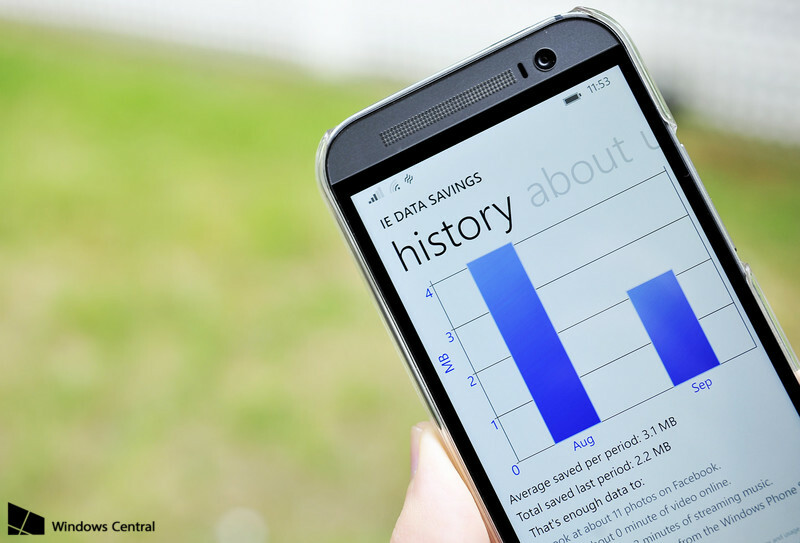 IE Data Savings by Data Sense is a important Windows Phone 8.1 tool for those who like to keep track of how much data their phone consumes each month. Even more, this app gives users the ability to restrict background data when roaming, set data limits, and see which apps grabs the most data.